I was on my way to a newly-opened milk tea franchise at Eastwood Mall in Quezon City when this electrifying scene welcomed me. 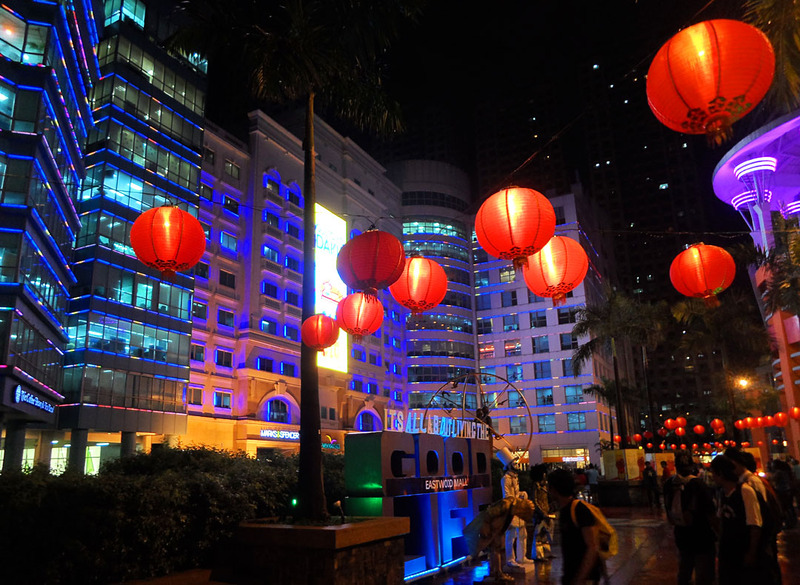 It was just days after the Chinese New Year celebration and the administrators of the establishment had not taken down the Chinese-inspired lanterns which accentuated the lighting-outlines of the buildings that were facing the mall. See more of Karl Ace's snap shots. 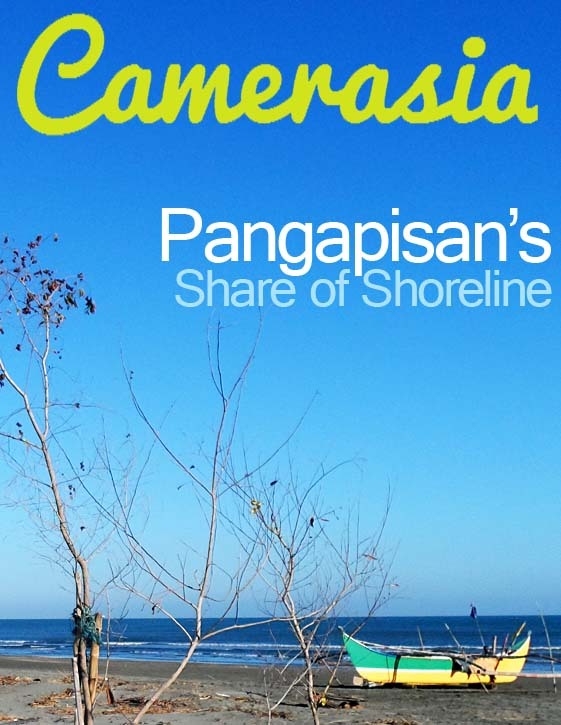 Discover Pangapisan on the Turista Trails blog. It was past 6:00am in my hometown of Pasig. 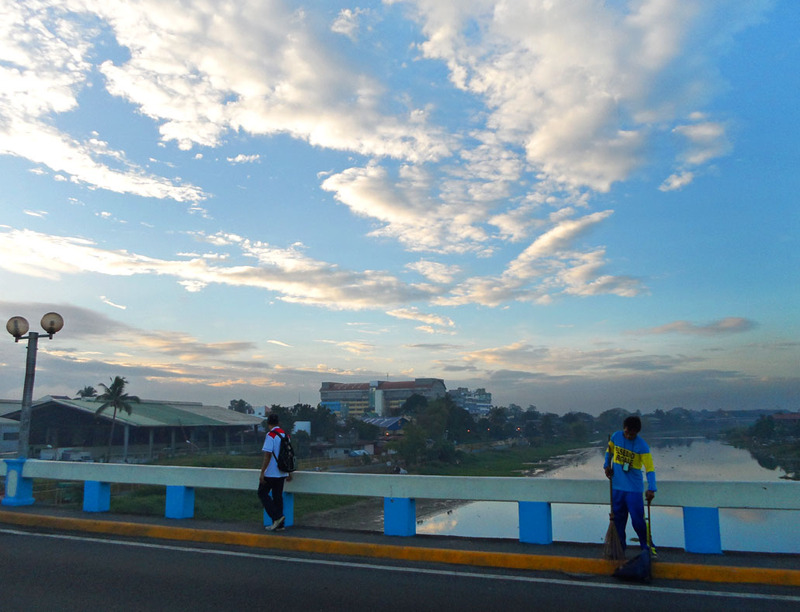 While waiting for Jollibee to open to have my breakfast, I walked a few more meters to reach Vargas Bridge. Unfortunately, I had to stand in the middle of the road to get a full view of both the student and the street sweeper, but I timed the deed to escape being hit by an incoming truck. 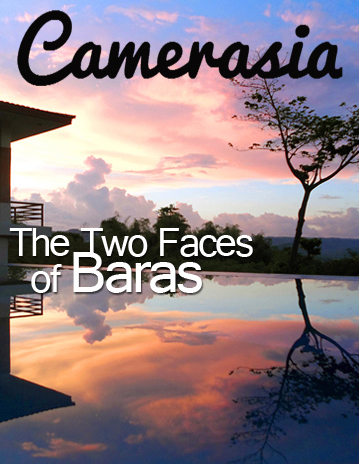 Baras, Rizal has a secret hideaway. Read more on the Turista Trails blog. Metro Manila is constantly changing. Your Camerasian is here to take snap shots of urban living, landmarks, and whatnot.